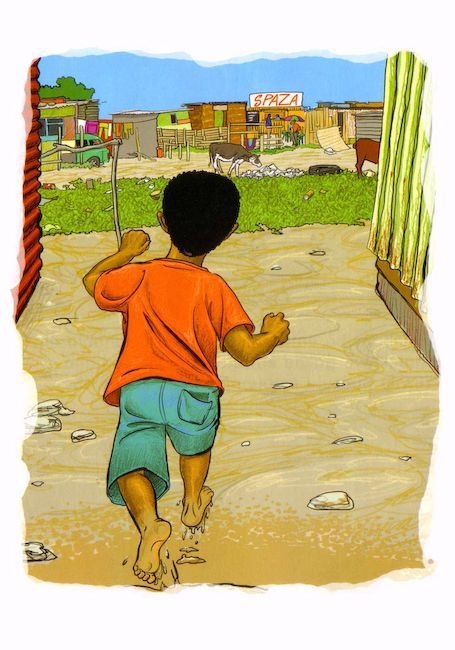 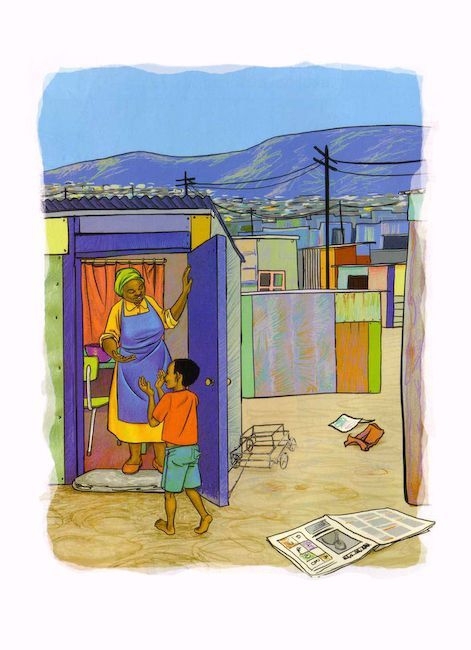 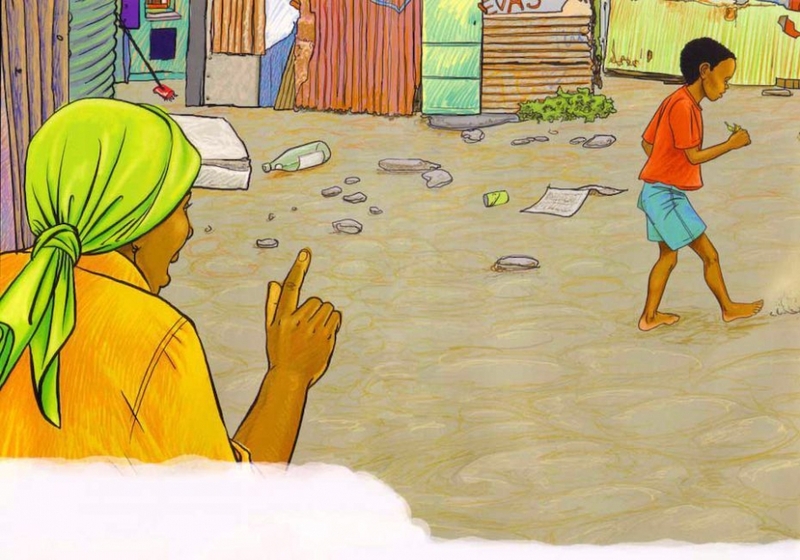 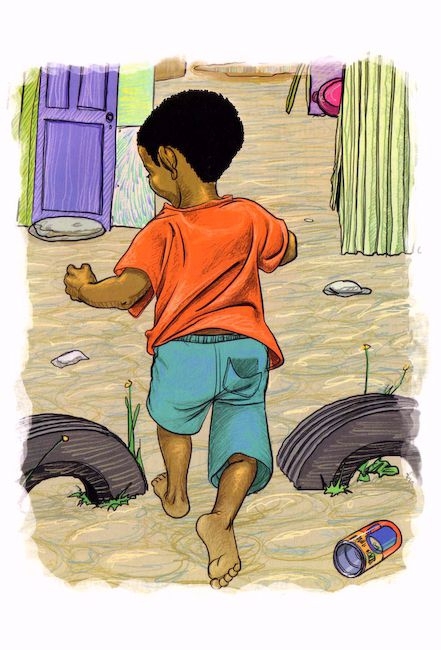 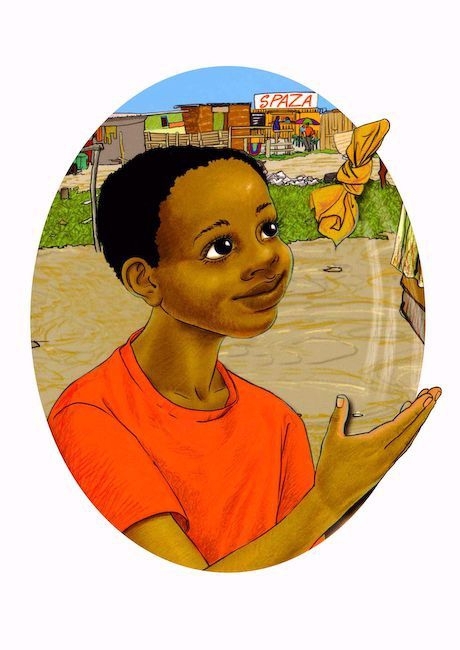 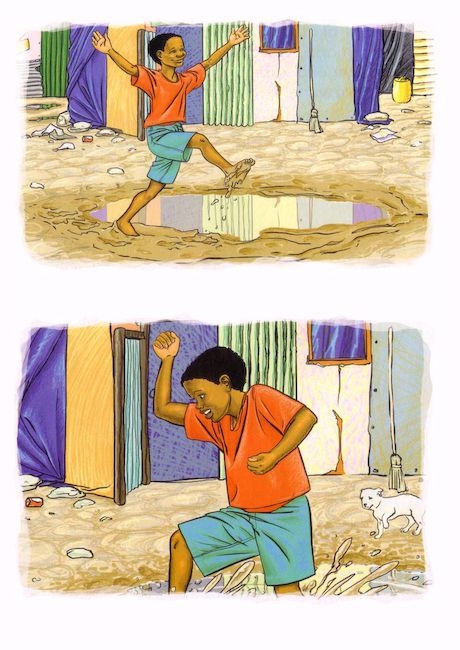 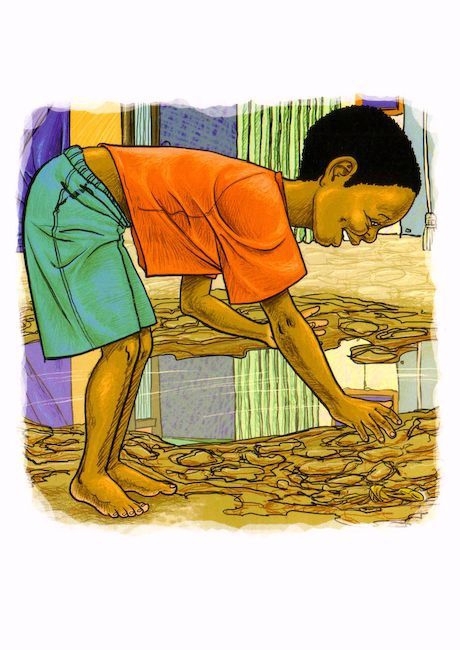 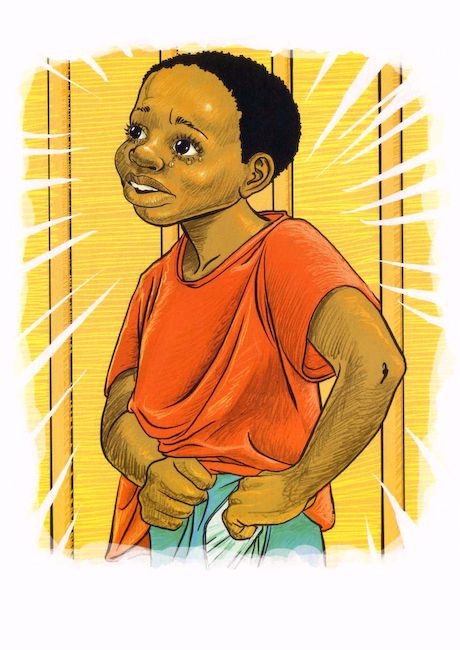 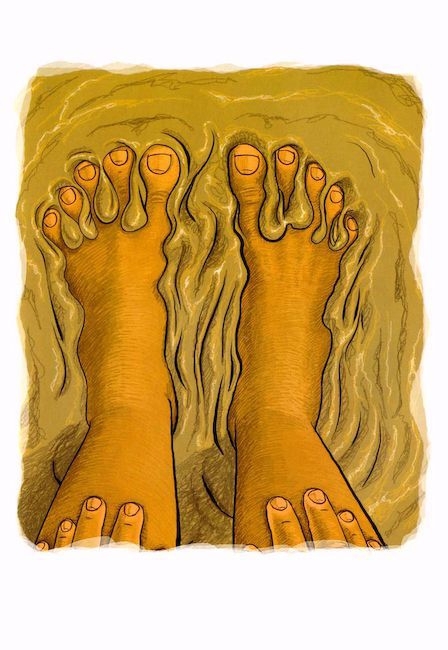 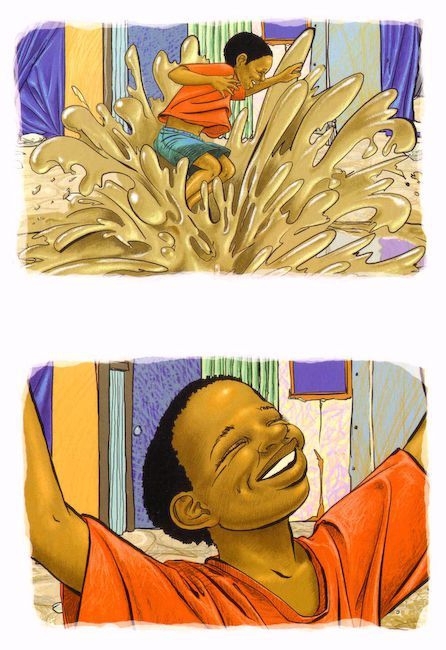 Themba’s Day is the story of a playful little boy who is sent to buy extra flour for his mum. 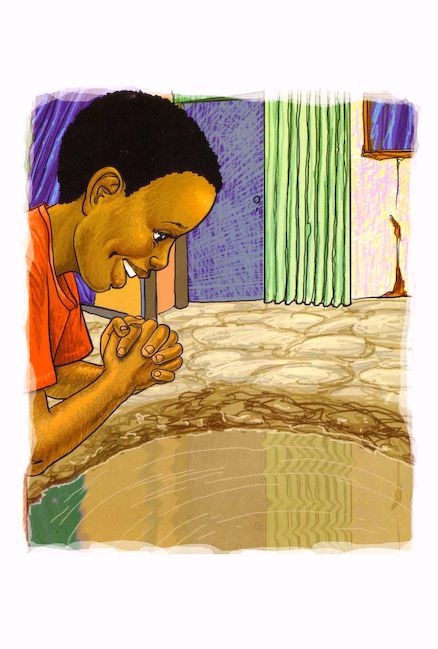 He is distracted by the sight of a tempting mud puddle and things get interesting from there..
For me the image of the money wrapped up in the hanky brings back memories of rural women from where I lived in my childhood, painstakingly unwrapping coins from knotted hankies. 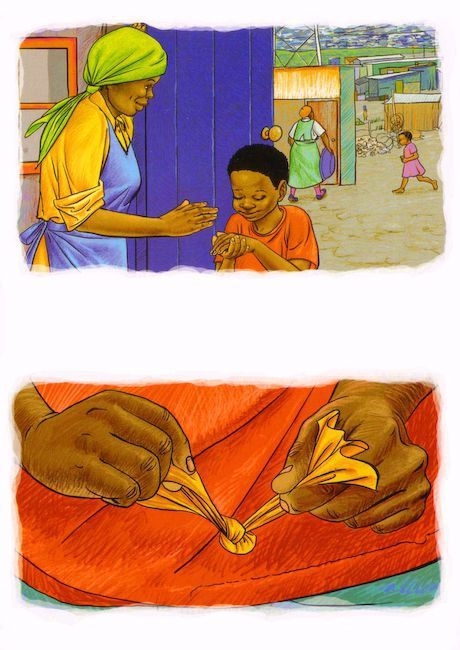 It denoted a respect for money as something very precious, important and to be looked after carefully. 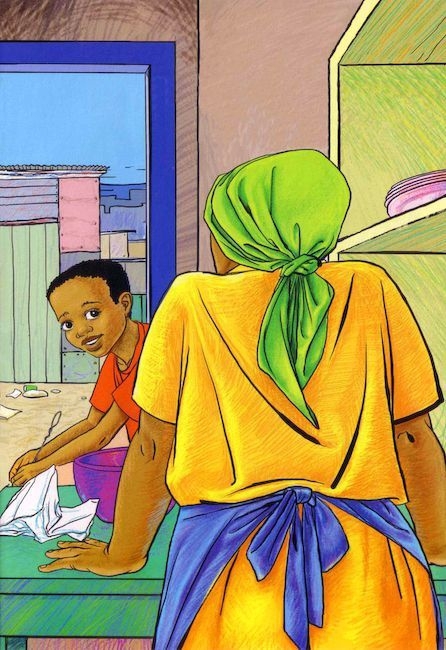 Then as now, the hankies were fetched out of the capacious bras (the African purse) or with older ladies, from inside colourful cloths wrapped around their shoulders or waists.